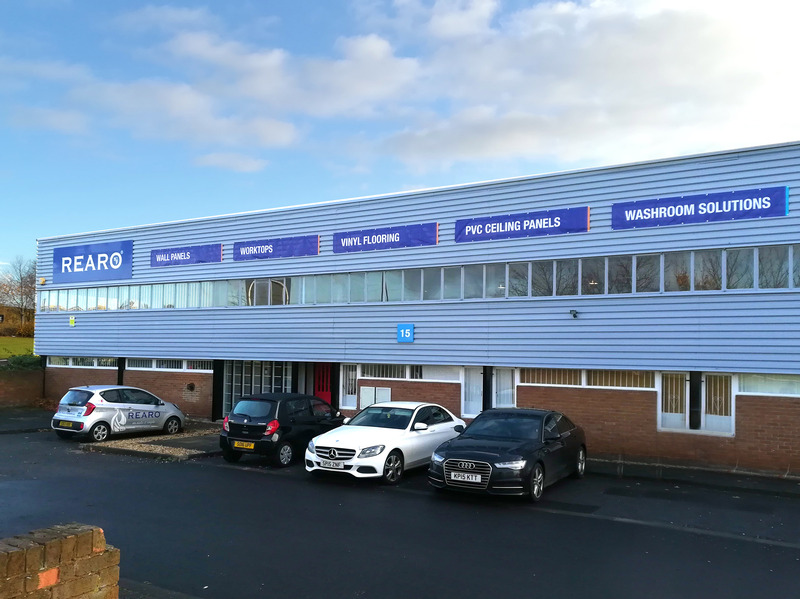 At Rearo Washington we work hard to supply the south of Scotland, Newcastle and north east of England with all their bathroom and kitchen needs in waterproof wall panels, wall cladding and worktops. If you would like to discuss the best solution for a new shower panel or maybe a new kitchen surface whether laminate or solid surface we would be delighted to answer any questions or maybe suggest other options. Just give us a call on the number below or visit the showroom in Crowther Industrial Estate, Washington.